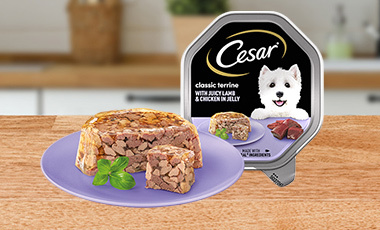 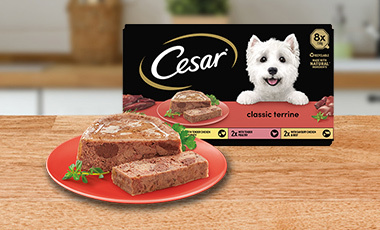 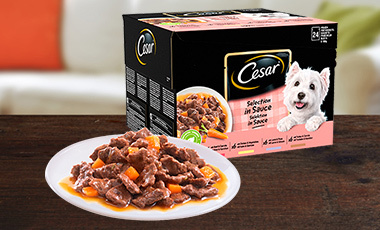 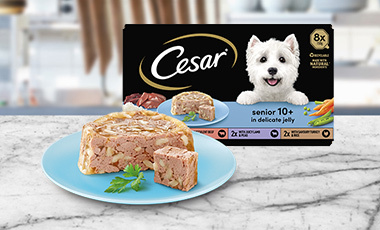 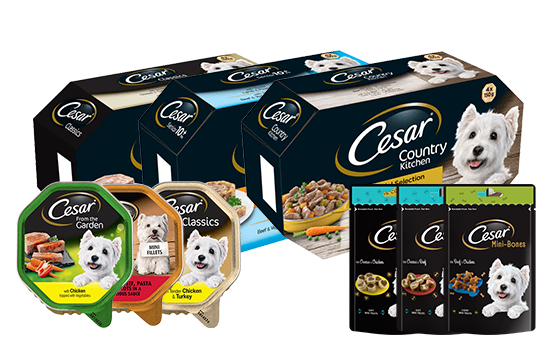 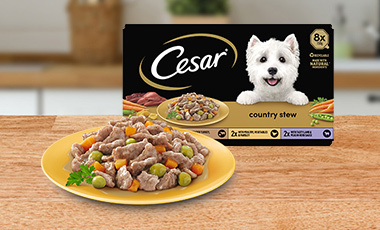 View the CESAR range of Trays, Pouches and Treats. 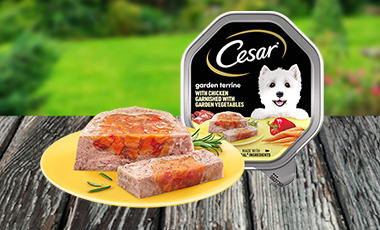 Carefully crafted recipes in trays for you and your canine companion to enjoy. 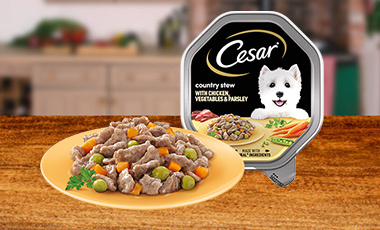 Multipack pouches for every meal your pooch could want. 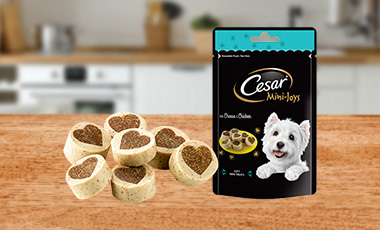 Irresistible Cesar® dog treats in loving shapes and delicious flavours that your four-legged friend will love.